Now you can enjoy America’s favorite word game in the three-dimensional art style of Charles Fazzino. Gather your family and friends around this limited edition work of art, choose your 7 oversized glass tiles and spin the built-in rotating gameboard. Each set includes custom Fazzino artwork layered in 3D in an elegant black wood frame and a tempered glass top. 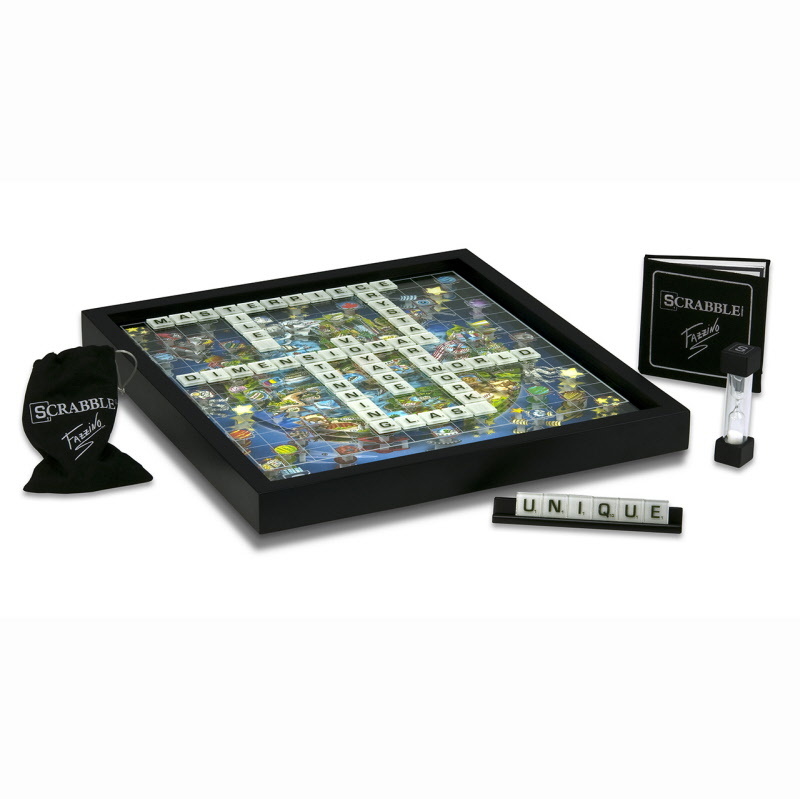 The game components are also uniquely designed including a set of oversized glass SCRABBLE tiles with fabric backing, deluxe scorebook with embroidered fabric cover and 4 over-sized wood tile racks. The set also includes a timer with customized wooden end caps for optional timing. Only 2,000 of this unique edition will be made and each one is signed and numbered by Charles Fazzino! - Will look as beautiful on the wall as it will showcased in your living room!